Samsung’s smartwatch records runs, rides and swims and has a built-in heart rate monitor. 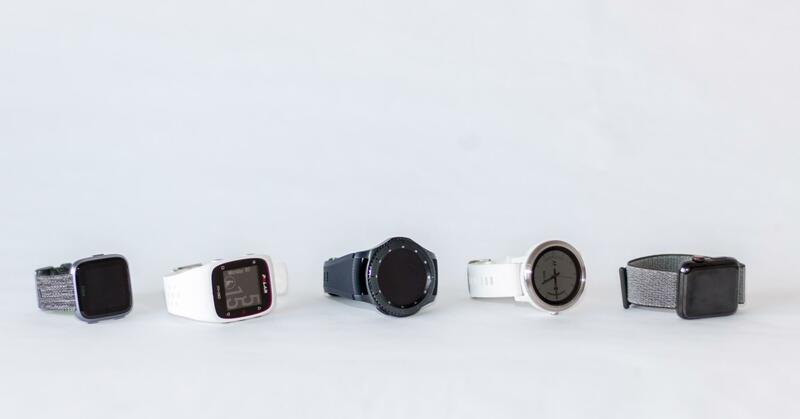 One feature runners might find appealing is that the watch can connect to bluetooth headphones and play music — no phone required! And it’s trackwheel-type outer bezel is a tactile way to navigate menus on the move. If you’re looking for a super functional companion that will let you leave your phone at home, then look no further.